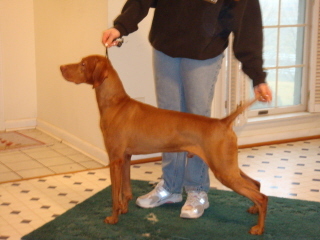 Jesse was the first pup to finish from the Wyatt/Sarah breeding. Jesse was handled to virtually all of his wins at the hands of his youthful owner, Yovonne Baggott-Jones. 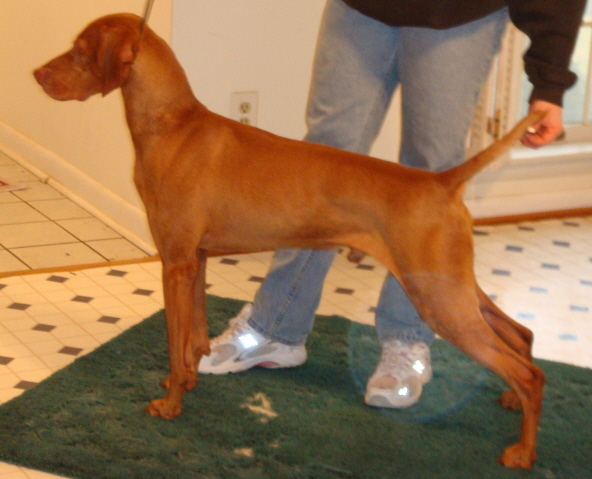 Her first show dog, Yovonne put 14 points and two majors on Jesse. From his first win – a major over specials – to his final success, going Best of Winners the day before Conestoga’s prestigious Specialty. The combined teamwork of Yovonne and Jesse is something of which Cameo Vizslas is quite proud.